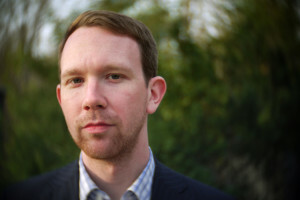 A recipient of the 2018 Charles Ives Fellowship from the American Academy of Arts and Letters and a 2017-18 Copland House Residency Award, Matthew Schreibeis is an American composer based in Hong Kong. His compositions combine highly-syncopated counterpoint with rhythmically-charged lyricism and span acoustic, electronic, and film music. Recent projects include collaborations with video artists and a series of works for traditional Korean instruments. The 2017-18 season features premieres of works for the Mivos Quartet at the VIPA Festival in Spain, University of Michigan faculty carillonist Tiffany Ng, pianist Daniel Pesca (Artist-in-Residence, University of Chicago), and guitarist Dieter Hennings, as an invited composer at the 2018 University of South Florida Composition Festival and Symposium. In addition, he will continue his collaboration with soprano Tony Arnold, conductor Tim Weiss, and members of Zohn Collective in recording his first portrait CD, Sandburg Songs, for Albany Records. Schreibeis’ music has been performed throughout the U.S., Europe, and Asia at the Juilliard School, the University of Chicago, Berlin’s Universität der Künste, the June in Buffalo Festival, the Hindemith Foundation in Switzerland, and the National Gugak Center in Korea, by soprano Tony Arnold, New York New Music Ensemble, Oberlin Contemporary Music Ensemble, ensemble green, and members of eighth blackbird and Alarm Will Sound, among others. Recent honors include commissions by the Aspen Music Festival and School, Hanson Institute for American Music, Seoul Foundation for Arts and Culture, soundSCAPE Festival, and the University of Nevada, Las Vegas; grants from American Composers Forum and the Center for East Asian Studies at the University of Pennsylvania; residencies at MacDowell, Yaddo, Virginia Center for Creative Arts, and Kimmel Harding Nelson Center; and 1st Prize in the National Association of Composers USA Young Composers Competition. He was one of two composers worldwide to receive the Camargo Foundation Fellowship in 2014-15. Schreibeis began his musical studies in Pittsburgh and received degrees from the Eastman School of Music and the University of Pennsylvania. His composition teachers included Samuel Adler, David Liptak, Eric Moe, James Primosch, Jay Reise, Christopher Rouse, Steven Stucky, Anna Weesner, and Ricardo Zohn-Muldoon. He also studied orchestration with Augusta Read Thomas and violin with Lynn Blakeslee. Currently based in Hong Kong, he is Assistant Professor at Hong Kong Baptist University. Previously he was Visiting Assistant Professor at Saint Joseph’s University in Philadelphia, Visiting Professor at Korea University in Seoul, and Composer Fellow at the soundSCAPE Festival in Italy. From 2010 to 2013 he served as Lecturer in the Department of Music and the Department of East Asian Languages and Civilizations at the University of Pennsylvania, where he designed and taught new courses on Korean traditional and popular music and media for undergraduates and graduates. He has also taught at West Chester University of Pennsylvania, Drexel University, and Rutgers University. Also active in Korean music research, he was a Visiting Scholar at the Kyujanggak Institute for Korean Studies at Seoul National University and a participant in the International Gugak Workshop at the National Gugak Center. 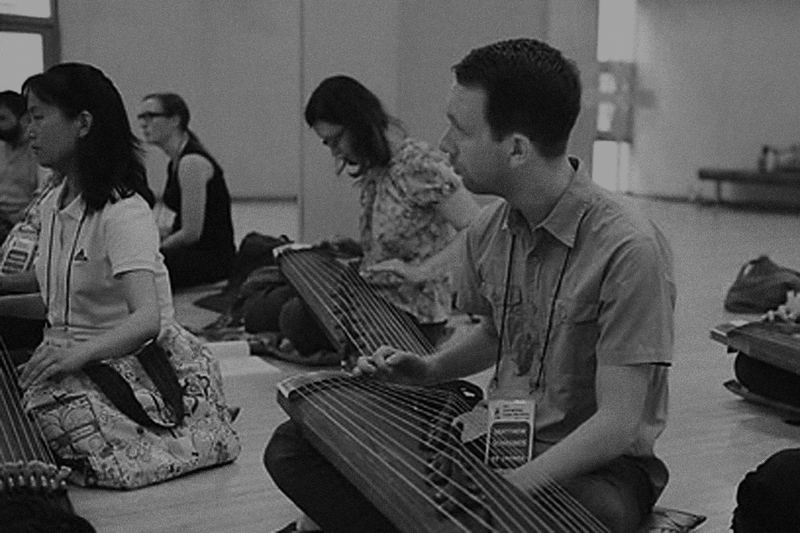 His experience includes transcription of the earliest recording of Korean music, paper presentations at the Asian Studies Association of Hong Kong, the national (Boston, 2014) and international (Seoul, 2011) conferences of the College Music Society, and study of the traditional hour glass-shaped drum or changgo in Seoul. He is Artistic Director of Sound Dialogue Project, an ensemble dedicated to the interface between traditional and contemporary musics. 서양 악기와 한국 악기를 접목한 어쿠스틱과 일레트로닉 작품을 작곡하는 매튜 슈라이바이스의 음악은 서정성 가득하고 리드미칼한 싱코페이션 대위를특징으로 합니다. 슈라이바이스의 작품은 줄리아드 음악대학, 시카고 대학교, 베릴린 대학교, 버팔로 음악 페스티발, 스위스 힌더머스 음악 재단, 한국 국립 국악 센터 등 유럽, 아시아, 미주의 대학과 각 기관에서 공연되고 있습니다. 매튜 슈라이바이스는 Hanson Institute for American Music, 서울문화재단과 University of Nevada 등에서 작품 의뢰를 받았으며, American Composers Forum, University of Pennsylvania 등 에서 기금을 수상하였고, Yaddo, Virginia Center for Creative Arts 와 Kimmel Harding Nelson Center 등에서 상주 예술가로 활동하였습니다. 또한, NACUSA Young Composers Competition 에서대상을 수상하였고, 2013 Aspen Music Festival에 전액 장학금으로 참석하였습니다. 매튜 슈라이바이스는 어린 나이부터 피츠버그에서 음악 공부를 시작하였으며, 이스트만 (Eastman School of Music) 음악 대학에서 작곡학사, 펜실베니아 대학교 (University of Pennsylvania)에서 작곡 박사학위를 받았습니다. 한국 전통, 현대 음악을 연구하고 있으며, 한국 전통 음악과 현대 음악, 미디어 등을 다룬 과목을 개발하고 미국 펜실베니아 대학교와 한국 고려대학교에서 강의하였습니다. 현재 필라델피아에 있는 세인트 조세프 대학교에서 객원 조교수로 재직하고 있으며, 고전과 현대, 동양과 서양, 음악과 다른 예술 장르의 교감을 시도하는 사운드 다이알로그 프로젝트(Sound Dialogue Project) 그룹의 음악 감독으로 활동 중입니다.